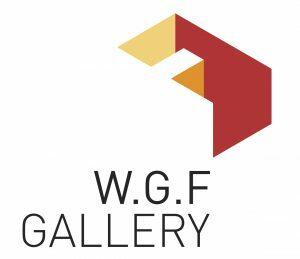 I had to create a logo for a contemporary gallery while using the gallery name in the design itself, the Warren G. Flowers Gallery (WGFG). In the past two years I’ve been approached by designers, artists and non-designers who have complimented, commented, and asked questions about this logo. The one question that I keep hearing is: How did you come up with the idea to design a logo that looks like a gallery interior? My goal here is to answer that question and in doing so perhaps help other designers fine-tune their own methodology. I look at every new project like an adventure, a chance to experience something new and design something fresh. I rarely sketch out ideas before doing some research using the W5 method: who, what, where, when, and why. I look at competitors branding, in this instance I researched 39 galleries that were present in the region and visited a handful of them. I immersed myself in the ‘gallery’ experience. I wanted my logo to stand out so I needed to see what my competition was up to. If you want a fresh idea you need to change your perspective. If you want a new perspective, learn to observe differently, so while people were staring at paintings and sculptures I was staring at the gallery itself, the lighting, the people and how they moved about the space. Using a brainstorm tree I expanded on my newfound perspective. Words such as Gallery led to display, audience, temporary, memories, moments and it became obvious to me that the only permanent aspect was the gallery itself, the logo would have to be an invitation to enter the space, so I played with spatial relationships between the letters WGFG. I explored and expanded on my favourite sketch that utilized the F as a focal point to illustrate the gallery. I then researched colors and fonts associated to contemporary design and did some fine-tuning on the logo.